Right now, my original post on Harry Potter and the Deathly Hollows (yes, mis-spelled) is driving about one half of all traffic to my blog. Amazing. Well, more Harry Potter news today. Two versions. Standard & Deluxe. They have announced the ship date: July 21st, 2007. 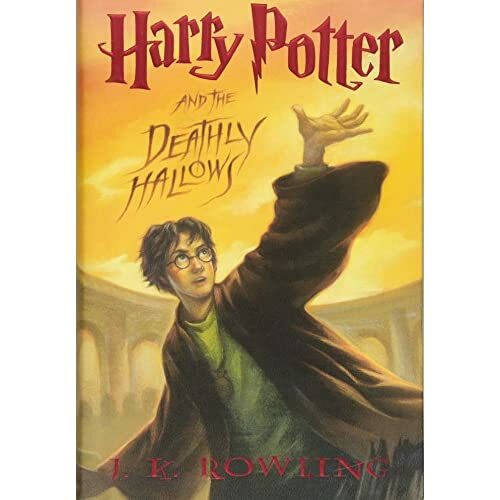 Harry Potter and the Deathly Hallows by J.K. Rowling, the seventh and final book in the best-selling series, has been scheduled for release at 12:01 a.m. on July 21, 2007, it was announced today by Scholastic, the global children’s publishing, education and media company. I can’t even really imagine how incredibly large the hoopla will be around the event. In fact, hoopla is not the right word. (Is it even really a word?) Celebration. Chaos. Pandemonium. This is bigger news than the announcement that the actor who plays Harry Potter in the movies, Daniel Radcliffe, is going to be appearing naked in the revival of the play Equus in London starting February 27th. Yes, you read that right. You can already pre-order the book. Borders is actually running a “Severus Snape: Friend or Foe” campaign to drum up excitement (like they need to). The movie for Harry Potter 5, The Order of the Phoenix, opens the week before, on July 13th. Pre-ordering online is far too slow. I recommend going to the bookstore in downtown Sunnyvale or that late-night one in Menlo Park to pick it up right after midnight. I’ll be done reading by Saturday. You don’t have to pre-order the book online or at the store you can go to you libary and be put on the waiting list then when the book comes out you can check it out and read it the day they call you which is the same day that the book comes out because all the libarys are renting 300 copies so if you go and requst getting put on the waiting list you can get it like everyone else without the long lines and rush to pay for it thats what I do! You shouldn’t read the 7th book yet because then it will ruin the movie. It is the most important movie of them all. Either Harry or Voldermolt will die. You should wait till the movie comes out watch it then read the book. Unless you are some kind of freak and like reading better than watching movies then I suggest go ahead. I also just wanted to say GO REBA!!! I wouldn’t have actually believed it if you hadn’t written it here. Someone actually writing a comment, on a blog post about a book, calling people who read the book before the movie comes out “some kind of freak”. I have the feeling that most people who read these books prefer reading to watching the movies. They are likely the same type of people who read Lord of the Rings before seeing the movies, as well. Lol, i bought all 6 harry potter books for 60 bucks and i only read the first one,ill buy it after I read all 6. How much does the author get of that profit???? J.K. Rowling is getting at least half, I’m postive. I’m currently reading the last one. Chapter twenty-one. After I’m done with this, I’m gonna wait until the last two movies come out on DVD, buy them, the read on book, watch the movie, read the next, watch it’s movie, and so on and so on.